It's actually quite common for sexual desire and performance to wane during the long winter months. The combination of the cold weather, short days, and illness leads to much higher levels of fatigue for most people. For some, this even lasts year-round as we get older. But there is a solution that doesn't involve drugs. 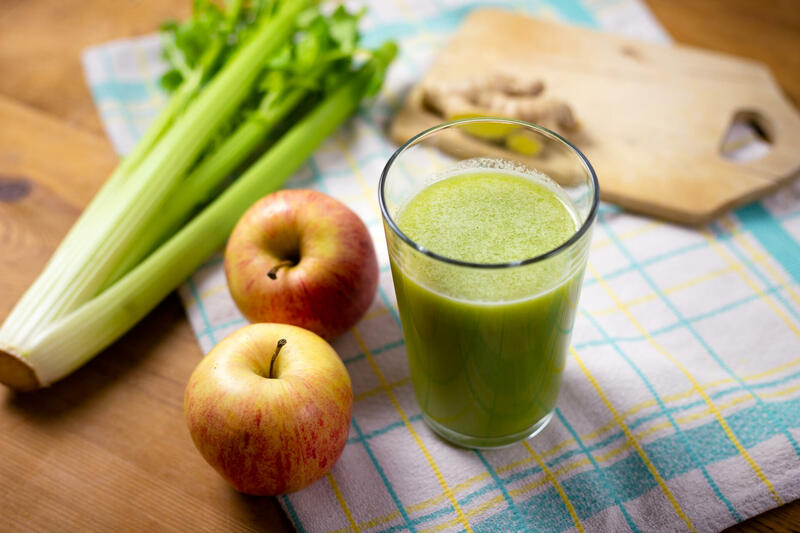 This juice recipe will increase libido and potency levels naturally. For the best results, drink at least 500 ml daily. You can drink it in two 250-ml doses if you prefer. Do this for a minimum of two weeks. Don't forget to have your partner drink this as well, as it is effective for both men and women. It will supply you with magnesium, potassium, iodine, calcium, zinc, sodium and vitamin C, B and E.
In the summer, you can replace the celery with melon, which has similar properties to celery but in a tastier form. For a recipe like this, we recommend a horizontal slow juicer like the Sana 707. This type of juicer does great on fruit, and is the best choice if you plan to juice a lot of leafy greens or root vegetables. Because it has a large pulp outlet, it is also the best way to juice celery. The Sana also can do a lot of other things like make nut milk, sorbet, baby food, pasta, and peanut butter. In addition, an optional oil extractor attachment is now available for the Sana 707 which allows you to make fresh cold-pressed oil from a variety of seeds including linseed, sunflower, poppyseed, and even chopped walnuts. It can grind also whole oats into fresh oatmeal. A special package is available with the juicer and oil press together at a discounted price.